For better or for worse, subcompact crossovers have become increasingly popular. Drivers who are budget-conscious seem to like the idea of driving a utility vehicle with its slightly higher driving height, more flexible cargo utility, and available all-wheel drive system. As such, despite their tiny size, limited cargo and passenger space, and higher cost relative to a comparable sedan or hatchback, the subcompact crossover segment represents an ever-expanding opportunity with limitless horizons and ever-spliced specialization within numerous niches. Almost every manufacturer has an example in the stable, and the luxury carmakers are no exception. Vehicles like the Audi Q3, BMW X1, Infiniti QX30 and Mercedes GLA impart some of the razzle-dazzle of their respective brands at premium outlet prices. Lexus makes its case with the all-new UX – initials standing for “Urban X(cross)-over,” or “Urban eXplorer,” depending on who you ask. It’s available in UX 200 and UX 250h formats, the latter of which is equipped with a hybrid version. The UX 250h commands a $2,000 premium, but does give you AWD – under some conditions. More on that below. 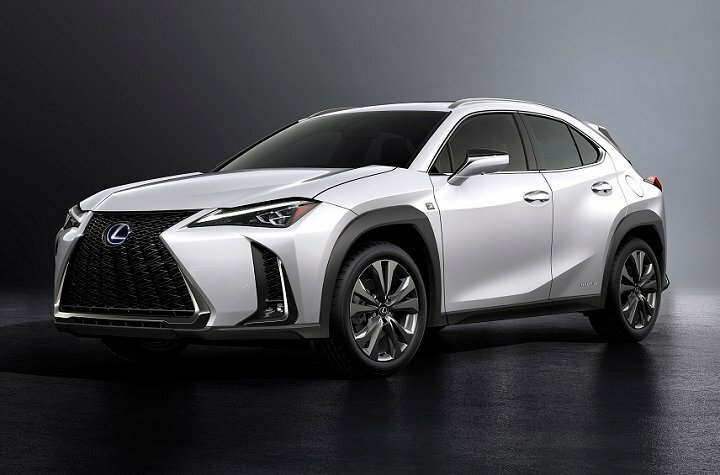 The UX joins the Lexus utility vehicle lineup as the baby of the family, which is comprised of the NX compact CUV, and the RX midsize CUV (each of which are car-based like the UX), with the lineup capped by the truck-based GX and LX SUVs. 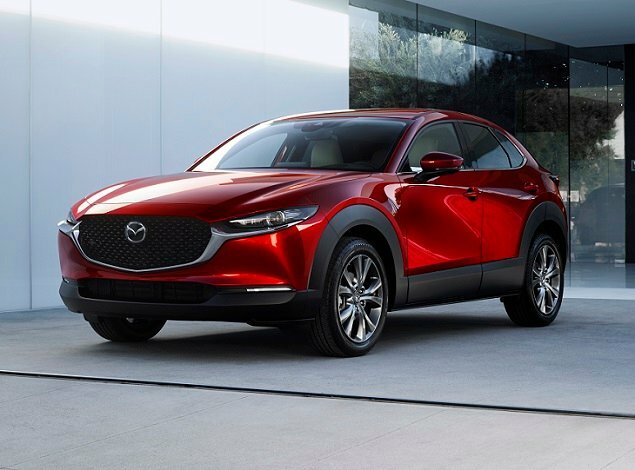 To see if it’s a worthy entrant to the entry-level luxury subcompact crossover utility vehicle game, J.D. Power evaluated a Lexus UX 250h equipped with a Premium Package, a navigation system, a blind spot monitoring system, and carpeted floor and cargo mats. The price came to $39,005, including the $1,025 destination charge. Before we discuss the results of our evaluation of the Lexus UX, it is helpful to understand who typically buys a small premium SUV, and what they like most and least about this type of vehicle. In this segment, 54% of buyers are women. People who own small premium SUVs are a median of 54 years of age, and they earn a median of $143,092 in terms of annual household income. Nearly half of small premium SUV owners report that they are Performance Buyers, at 42%. Only 14% identify as Price Buyers. As far as their psychographic profile goes, 94% agree that a first consideration in choosing a new vehicle is quality of workmanship; 94% agree that a first consideration in choosing a new vehicle is reliability; and 92% agree that they like a vehicle with responsive handling and powerful acceleration. Only 33% agree that to them a vehicle is just a way of getting from place to place. Just 51% agree that fuel economy is a first consideration in choosing a new vehicle. And only 59% are willing to pay more for a vehicle that is environmentally friendly. Furthermore, most small premium luxury buyers do not agree that they prefer to buy a vehicle from a domestic company (77% do not). Owners report that their favorite things about small premium SUVs are (in descending order) the exterior styling, driving dynamics, interior design, seats, and engine/transmission. Owners indicate that their least favorite things about small premium SUVs are (in descending order) the visibility and safety, climate control system, infotainment system, storage and space, and fuel economy. In the sections that follow, our expert provides her own perceptions about how the Lexus UX measures up in each of the 10 categories that comprise the 2018 APEAL Study. Whether you’re a fan or not, there’s no denying that the latest crop of Lexus SUVs is noticeable. With its compilation of acute angles, swirly whirly hood and character lines, and headlight shapes that defy everyday verbiage, the UX grabs your attention. It fits in nicely with the other Lexus CUVs, exuding the automaker’s design language. My test vehicle wore a Silver Lining paint job, which tends to tone down the exuberance. It also had the effect of minimizing the somewhat garish cladding along the sides of the UX. The dark gray plastic wheel-arch trim did have a more interesting shape than the typical crossover, though, and melded nicely with the overall design. Standard 18-inch aluminum wheels, situated on the far corners of the UX, give it a determined stance, and make it seem bigger than its actual dimensions would suggest. Inside, a simple and modern aesthetic, along with a preponderance of languid, horizontal lines, greet the driver and passengers. Those expecting the traditional cues of luxury vehicles, such as brightwork or wood trim, might be a bit disappointed, as the cabin of the UX is shorn of most ornamentation. My test vehicle’s dashboard was all black, the darkness of the cabin broken up a bit by the Birch upholstery. But most of the plastics felt solid and were of good quality, and the NuLuxe simulated leather that Lexus swathes on the seats had a convincingly supple touch. With 8-way power adjustable front seats, I was able to find a good driving position. Thigh support was decent and the bolstering was enough to keep me from sliding around. The front passenger’s seat included height adjustment, which is always praiseworthy. Heated and ventilated seats are always a welcome feature, too, and are included in the Premium Package. Predictably, the rear seats are cozy, as expected. Hopefully your two passengers don’t mind each other’s company, as they will be in close quarters. A third friend? Think long and hard before attempting such a feat. The piano key controls for the climate system are easy to decipher and, all lined up in a row on the dashboard, looked neat and modern. The horizontally aligned air vents look cool too, but become a bit askew when you redirect the flow of air. Yikes. In a segment where owners consider the ergonomics of their infotainment systems to be their third from last favorite thing they like about their vehicles (after storage/space and fuel economy), the Lexus UX has to fall behind even further. Between the touch pad on the center console and the weird control module with small, fussy rotating dials to manage the volume and tuning functions (remember those on Sony Walkmans in the early 80s? Totally! ), this infotainment system really is more complicated than it needs to be. Good thing you can always use the much-touted dynamic voice command system, which is cloud-based voice recognition for executing tasks. Infotainment features include Apple CarPlay smartphone projection, but not Android Auto. A Wi-Fi hotspot comes standard, with 4GB of free data for the first year. You also complementary smartwatch integration, Alexa and Google Assist for one year. After that, you have to pay for subscription access to these services. Small vehicles have small cabins with small spaces to put your things. And that is true of the Lexus UX. Cargo space isn’t generous, either, especially in the hybrid UX 250h. My test vehicle supplied just 17.1 cu.-ft. of space behind the rear seat, which is little more than what a midsize sedan might provide. The difference here is instead of getting a wide, flat, concealed space, like in a sedan, the UX provides a narrow, vertical, openly visible space. Curiously, Lexus doesn’t provide a number for cargo capacity with the rear seats folded, so we can only guess as to its abilities. All three of the UX’s roof pillars are rather thick, so you have to double check to make sure that you’re clear before making turns and reversing. A blind spot monitoring system is particularly useful on the UX, but is an extra-cost feature included with the Premium Package or available as a separate option. Lexus should consider including this critical feature to its standard features list. 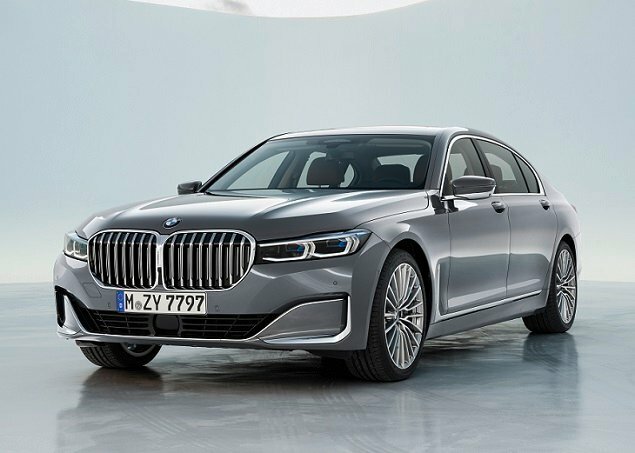 Items that are included with every UX include adaptive cruise control, a forward collision warning system with pedestrian and bicyclist detection, automatic emergency braking, bi-LED headlamps, and lane departure warning with lane keeping assist. At the time of this writing, neither the National Highway Traffic Safety Administration nor the Insurance Institute for Highway Safety had performed any crash testing on the brand-new 2019 UX. Pop open the UX 250h’s hood and you’ll find a 2.0-liter 4-cylinder engine. But wait, there’s more. An electric drive motor and a battery pack juiced by a regenerative braking system help to provide and maintain your momentum. All together, the UX 250h makes 181 horsepower, with a continuously variable transmission delivering power to the wheels. Thanks to the electric motor providing lots of low-end grunt, the UX hybrid is zippy, especially during takeoffs from a standstill. There’s an immediate sensation of momentum from the instant you step on the pedal. Ultimately, no, it’s not a fast car, but it sure feels lively off the line. Lexus says that acceleration runs to 60 mph should take about 8.7 seconds for the UX 250h and 8.8 seconds for the 169-horsepower UX 200. Every UX 250h comes with all-wheel drive, courtesy of a small, 7-horsepower electric motor integrated into the rear axle. It only works up to 43 mph, though. Go faster than that, you’re back to relying solely on the front wheels. The EPA says that you should expect about 38 mpg in combined driving with the UX 250h (39 city/41 highway). During a week of driving, I averaged 37.1 mpg. Meanwhile, the UX 200 should get about 33 mpg in similar conditions (29 city /37 highway). On a side note, the UX 250h’s gas tank is smaller than the regular UX, able to accommodate 10.6 gallons compared to 12.4 gallons. This means that both vehicles have an optimal range of just over 400 miles on a single tank of gas, and, in fact, you can theoretically go a few more miles in the UX 200 (409 miles vs. 403 in the hybrid). 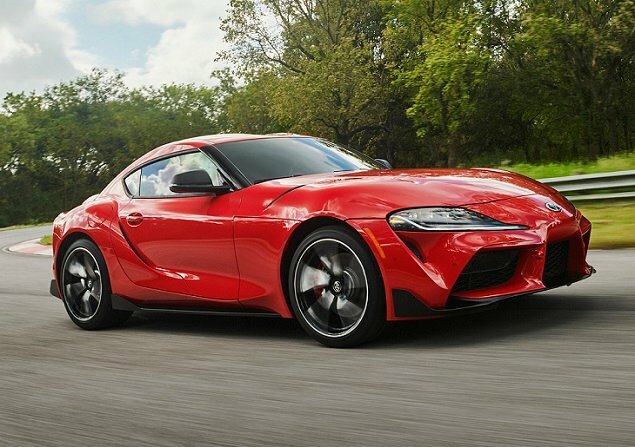 With a low center of gravity and a weighty battery pack, you can’t help but have a car that feels stable when you pitch it into corners, with little in the way of body lean or wallow. Lexus mounts 225/50R18 all-season run-flat tires to the UX 250h, and they provide decent if not thrilling grip. Around town, the suspension transmits some harshness over imperfect roads, but nothing unduly harsh. The brakes are effective but sometimes grabby, the pedal reminding you that the UX 250h is equipped with a regenerative braking system. Something to love about small cars is their urban agility, and the UX delivers. Boasting a svelte turning diameter of 34.2 feet, the UX allows you to make neat U-turns and slide right into small parking slots, and the steering feels progressive and precise. Ground clearance isn’t noted in Lexus specs, but the structurally similar Toyota C-HR tops out at 5.9 inches. That, together with an AWD system that zonks out above 43 mph, means this Lexus may be useful for timid forays onto slippery roads, but forget about unpaved paths or performance driving. So don’t go chasing waterfalls. Just stick to the Urban eXploring that you’re used to. The 2019 Lexus UX doesn’t necessarily break any new ground when it comes to form or function, but it may serve as a good starting point for those wanting to enter into the world of luxury car ownership. A gateway drug, if you will. Toyota Motor Sales, U.S.A. supplied the vehicle used for this 2019 Lexus UX 250h review.